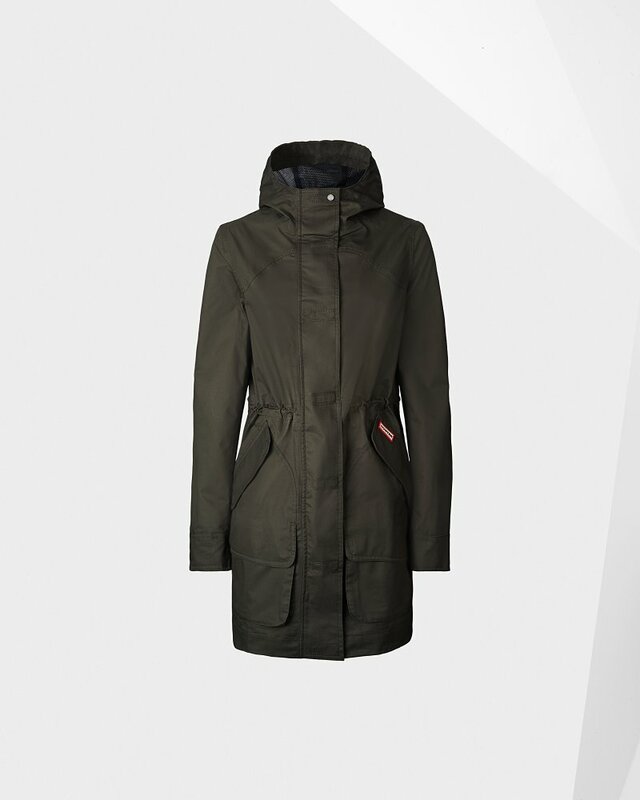 Women's Original Waterproof Cotton Hunting Coat is rated 4.5 out of 5 by 22. Rated 4 out of 5 by MMMSJ from Fabulous coat Well made, nice detail, perfect fit (I am Asian and 159cm tall and got XS). Bought bright pink but it is not what you see on the picture! It was an only disappointment (I wished Hunter would show more realistic color!). It was more like dark coral pink. Other than color, everything is just what I have been looking for so I am still keeping it as my daughter loves it and she also wants to wear it sometimes.